Joyce Effects is a collection of essays by a leading commentator on James Joyce. 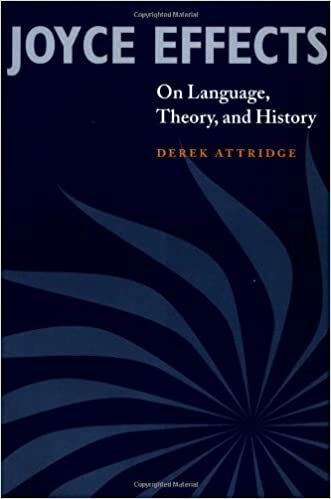 Joyce's books, Derek Attridge argues, go off like fireworks, and one of this book's aims is to enhance the reader's enjoyment of these special effects. He examines the way Joyce's writing challenges and transforms our understanding of language, literature, and history and offers in-depth analysis of Joyce's major works. This collection represents fifteen years of close engagement with Joyce by Derek Attridge and reflects the changing course of Joyce criticism during this period.